The patient is now king in the healthcare industry. Healthcare providers and payers are adopting the ‘patient-centric’ approach, and are in the midst of a multi-year shift from volume to value-based payments. Meanwhile, healthcare regulations are constantly changing, contributing further to an already complex ecosystem, comprising multiple stakeholders. This dynamic environment has forced companies to reimagine their operations, as well as the underlying healthcare IT solutions. While several providers and payers are looking to leverage digital technologies to enhance patient engagement and business efficiency, achieving integrated healthcare in a cost-effective manner, remains a key challenge. Healthcare IT Outsourcing, if done the right way, can go a long way in realizing these new business goals. LTI’s Healthcare IT Solutions can help companies boost back-office efficiencies, improve patient engagement, drive preventive care, and facilitate better care for long-term conditions. Using our rich domain expertise, we provide our global clients seamless Healthcare IT solutions, including business consulting, application development and maintenance, testing, mobility, analytics, clinical research data management and infrastructure support. Our Mosaic Decisions Data Engineering & Analytics Platform will simplify your business by allowing data from disparate sources to be loaded/ cleansed/ integrated to derive meaningful insights, which will help with better risk underwriting, detecting frauds, improved member engagement and reduced costs. Drive operational efficiency & cost reduction through implementation of Robotic Process Automation & Chatbots for customer service activities, member/provider enrollments & prior authorizations. At LTI, we provide domain-centric consulting services for business process optimization to enhance operational efficiency. LTI offers new-age IT services and solutions to hospitals, laboratories and medical service providers to help them reduce administrative costs and overheads. 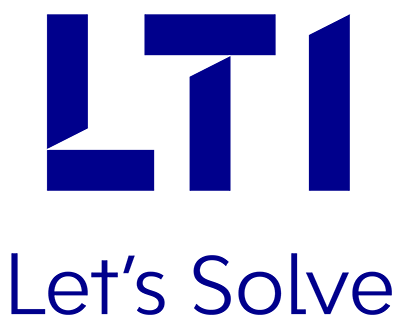 At LTI, we provide cutting-edge solutions across payers/providers to address various industry challenges. Developed a complex algorithm and workflow system, to read messages from EPIC and other applications over JMS, for quick turnover with a focus on enhancing patient care. Implemented Cloud-based platform to handle large volume of data. Implemented Health Risk Assessment (HRA) to gauge the current risk based on family history, health vitals, physical health, mental health and life style. LTI has designed an innovative framework to simplify the ICD-9 to ICD-10 conversion process, while paying equal attention to the risks involved. cHealth is a Collaborative Healthcare Framework designed to address the requirements of various entities of the Healthcare Ecosystem.